Leadership | Nibo Union USA, Inc. These individuals were SWORN IN at the 2014 Nibo Union USA national convention. Please click on their name to expand or collapse the view for more details. Currently a consulting Engineer and was a Distinguished Member of Technical Staff at Motorola Solutions in NY and a member of its Enterprise Mobile Computing team up until December 2013. Prior to joining Motorola, he worked on various products at Schick Technologies NY, Periphonics Corporation and later at Nortel Networks. He holds B.S. (Electrical Eng), B.S. (Computer Science), M.S. (Electrical Eng), M.S. (Applied Mathematics) from State University of New York at Stony Brook. 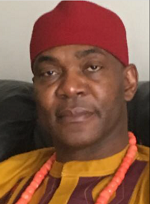 Mr. Gozie Ekwenugo is currently the National vice President of Nibo Union USA Inc., elected at the 2014 National convention in New Orleans. Prior to holding his current position, he was the National assistant Secretary for 4 years, spanning from 2010 – 2014. 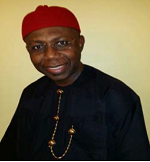 Mr. Gozie Ekwenugo is self employed and runs a high tech medical imaging facility in Dallas, TX – Dallas Imaging Solutions LLC., providing Magnetic Imaging Resonance (MRI) AND Computed Tomography (CT) Services in the Dallas Metroplex area. He holds a degree in Radiologic Sciences. Prior to entrepreneurship he worked for the Dallas County hospital – Parkland Memorial Hospital Dallas. Employed by NYC Human Resources Administration, Dept. of Social Services from 2000- present. He completed primary and secondary education in Nigeria. He also earned a B.S. degree in Accounting and Economics from NJCU. Has been a member of Nibo Union USA Inc since 1998 and serves as a member of the Executive since 2005 to date. He has over 25 years of Banking and Accounting experience. Currently, he is the controller of UNI associates Inc. a Mechanical Contracting Engineering HVAC Service Company based in Brooklyn New York. Previously he held auditor and accountant positions with Department of Consumer Affairs in New York. He also in the past held auditor and controller positions at Dime Savings Bank of New York and at State Street Bank, Quincy Massachusetts. He received his B.S degree in Accounting/Business and Management from State University of New York at Old Westbury, and M.B.A in Banking and Finance from Adelphi University, Garden City New York. Rob Chinedu Ughamadu is from Umube Village, Uruana, Umuanum, Nibo. He is a pioneer member of Nibo Union USA convention in Atlanta GA in 1998 and has been an active member of the organization. He is currently the National Provost and also Secretary of the Chicago branch. He lives with his wife and children in Lansing, Illinois. Onyeka Dozie is married to his beautiful wife Linda and is blessed with three beautiful children.